In Napier there is a certain smug satisfaction at the defeat of the amalgamation proposal. Another local proposal – the Ahuriri Deed of Settlement – that seeks to put right past wrongs – also looks to have stumbled at the post but no one is happy about it. We have Treaty fatigue. The kumara vine has it that Treaty Negotiations Minister Chris Finlayson has refused to accept that the proposal has sufficient enough support to be enduring. If so the man has integrity and courage. I think Finlayson has been poorly served by his officials, and I’m of the view that the Ahuriri claims negotiators and their executive leadership have been similarly poor in service to their community of interest. Several aspects of the proposed settlement troubled me. One was that it individualised registered Maori beneficiaries removing them from their traditional hapu structures and grouping them as a conglomerate under a Westminster system. This breaks down the metaphysical links of whakapapa that tie people together and help them rise above the noa, the temporal consideration of money and possessions. This is how you separate people from their land. Secondly I’m troubled by the structure of the proposed Post Governance Settlement Entity – the Ahuriri Trust – and the capacity and competence of its possible leadership. But, most of all I’m troubled about the intangible aspects of the deal, being the historic account and the apology. These are woeful and inadequate. Part of the matters addressed have to do with the battle of Omarunui in 1866. This was a pivotal moment in our emergent nation state. It was the first time the two partners tangata whenua and tangata tiriti – as distinct from the British – fought side by side without the involvement of the English Crown. The local chiefs were loyal to the Treaty and through that to the Queen and her subjects on their own terms but in tandem with the Colonial and Provincial Governments of the day and alongside settler citizen militia. They are called kupapa for their efforts. This following paper is long but if you want to understand the complexities of the Ahuriri settlement then give it a crack. We have to know our past to create our future, and this mess must be rapidly cleaned up and a fresh push to settlement made. This essay presents an issue the bones of which have been stuck in my craw for some time. It pertains to the settlement of a cluster of Treaty of Waitangi claims around the Ahururi (Napier) area that has been brought together under the aegis of an entity called Mana Ahuriri Inc. (MAI). I became motivated to write this paper following a most unsatisfactory Ahuriri claims settlement ratification hui – I’ll cover that incident by way of a side story later in the piece. The essay started as an attack on the proposed Ahuriri Deed of Settlement and the process that led to it, but has morphed somewhat into an apologia for Tareha Te Moananui MHR the tupuna of my wife and children. Its timely. The proposed Ahuriri apology and historic account if ratified and passed into statute will have the potential to lock into history what in my view is an unfair and inaccurate record. Indeed the Mana Ahuriri historic narrative has been somewhat ambushed by those who interpret events of the period 1840-1880 primarily through the prism of indigenous resistance to colonialism. The prevailing NZ narrative up until the 1970’s tended to allocate ‘blame’ for the death and destruction in the East Coast and Hawke’s Bay over the 1860’s in particular onto the “rebel” Hauhau. However a more critical analysis that challenged the dominant historic narrative began to emerge. That’s good and necessary. But the process of combining several different Claims and their findings has led to a simplistic, binary, and almost Orwellian division of the “four legs good two legs bad” variety. These deprecatory comments arise from the result of the fog of the wars wherein lands were confiscated under the New Zealand Settlements Act (1866) by way of agreements made between pro-Treaty rangatira and officials of the provincial government in Napier in 1870. As regards Tareha for me the issue is what was in Tareha’s mind when he took up arms? Did he have mens rea (evil intent)? In Parliament at the time he talks of himself as a collective identity “the Maori”. He chides the Government for taking the land for itself as a punishment on those who were seen to be in rebellion and says that they have already been punished by their death(s) in military action. Based on his chiefly whakapapa – he was related to most people in the area – he assumed a kaitiaki role, the land not so much being individually his but as it were “in trust”. Whilst Tareha was alive he ensured that some of the rental income went to the customary owners, however after his death some of his heirs were not so minded arguing that no “trust” was intended. This was as contentious then as it is now. Part of this view arose from the shift from traditional concepts of collective chiefly ownership to European notions of title. It was encouraged by Crown and settler pastoralist alike. Eventually most of the land was either sold to the Crown (who opened it for selection by Pakeha farmers rather than used it to satisfy the claims of those with customary rights). “dispossessed in favour of descendants of rebels, and reminded the government of its solemn promise in 1870 to return parts of the confiscated lands to loyal Maori”. It is also instructive to note that Tareha’s direct descendants amongst Ngati Paarau today question whether there has really been much benefit to them from this alliance. They see themselves in no better position than any other Maori in Hawke’s Bay. So we can see the pendulum swing of historic interpretation that rejected the dominant narrative that had existed since the 1860’s and inverted it. I once shared that view myself. There’s something about monuments and their symbolic erection or removal when a new order is asserted or a revisionist perspective prevails. Indeed on the eve of Waitangi Day 1980 I climbed the obelisk that commemorated the 1866 battle between combined Crown and local Maori forces against the Hauhau at Ōmarunui and sledgehammer in hand attempted to destroy it. In March 1916, 30 ‘enthusiastic’ veterans met in Napier’s Athenaeum building to discuss ‘means and ways’ of commemorating the engagement at Ōmarunui. After some discussion the meeting agreed to hold an anniversary picnic at Ōmarunui and erect a memorial on land already donated by W. Kinross White. A committee was formed to meet descendants of the chiefs of ‘friendly natives’ to discuss the arrangements. 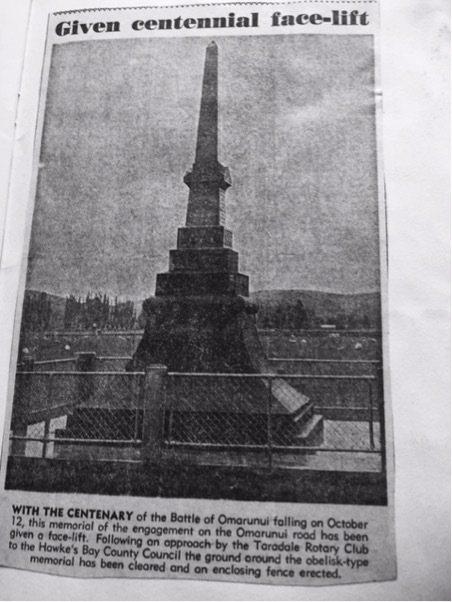 J D Ormond, by then an octogenarian unveiled this memorial at Ōmarunui on its 50th anniversary, 12 October 1916. The hammer bounced off the granite and nearly toppled me instead. I took it as a tohu – maybe I wasn’t meant to be doing that. However, following the Tribunal’s hearings some people pulled the obelisk off the plinth and removed it. In retrospect I think we are the lesser for it. The more I read and thought about the role of kupapa my perspective began to change. Led by historians such as Monty Soutar and Ron Crosby a more balanced and perhaps more complete perspective is beginning to emerge on the role of kupapa that may help balance views. Accordingly I’ve had trouble reconciling the bad press that Tareha receives in some of the Ahuriri regional cluster of interrelated Waitangi Tribunal hearings and findings with my own research, reading, and analysis, particularly of his Parliamentary speeches. These are first person accounts as opposed to the interpretation of some historians and Tribunal members. Paul Moon suggests that the early Maori MP’s (Nga matamua) were regarded by their Parliamentary peers as being ‘mere pawns, ignorant and easily manipulated by leaders of the parties in the House’. Alan Ward states that they were regarded as being ‘little more than observers with voting rights’ while Ranginui Walker argues that iwi regarded the MPs as ‘tame parrots’, and feared their inclusion in the House of Representatives implied tribal acquiescence to government legislation. My cut is somewhat different. 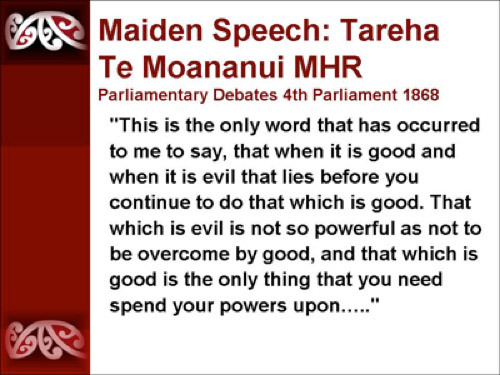 Tareha Te Moananui was the first Maori to speak in the New Zealand Parliament (August 1868). To my reading Tareha’s maiden speech was based on concepts of goodwill and potentiality. It provides a template for partnership between Tangata Whenua and Tangata Tiriti. He says that Maori and European are similar but not the same; that the power of good is stronger than evil; and that when evil arises we should come together and deal to it but that our major focus should be on that which is good. I’ve called it the first whanau ora speech. Far from being a mere pawn or tame parrot his words recorded in Hansard demonstrate a clear mind with thoughts independent of the thinking and policies of the Government of the day. He tells the Assembly frequently that the Government does not know what it is doing in relation to Maori policy, criticises the policies of raupatu, and is also blunt about his use of force of arms to curb lawlessness and what he calls “evil”. Moreover Tareha’s actions as a nation builder and unifier are profound and were consistent since 1840 through to the time of his death in 1880. He was clearly committed to peace and justice for all. One might fairly accept that in Aotearoa the events of the 1860’s were part of a liminal process, moving from tribalism to nationhood and being neither quite one thing nor the other for a period until a new order was established and anchored by dint of the Treaty of Waitangi. A culture founded on notions such as mana (status), tapu (controls and behaviour) utu (revenge to maintain societal balance) and muru (a means for seeking justice by the taking of personal property as compensation for an offence against an individual, community or society) had in the early 19th Century first to deal with the introduction of firearms to Aotearoa by Europeans. This led to a period of bitter asymmetrical warfare where those tribes with guns wrought havoc on others as old feuds were revived and scores settled. It is estimated that up to 20% of the Maori population was killed (1810-1830). These “musket wars” impacted heavily on Ngati Kahungunu. 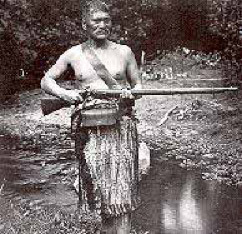 As a youth Tareha saw at first hand the results of this warfare at Te Pakake with the slaughter of his relatives. 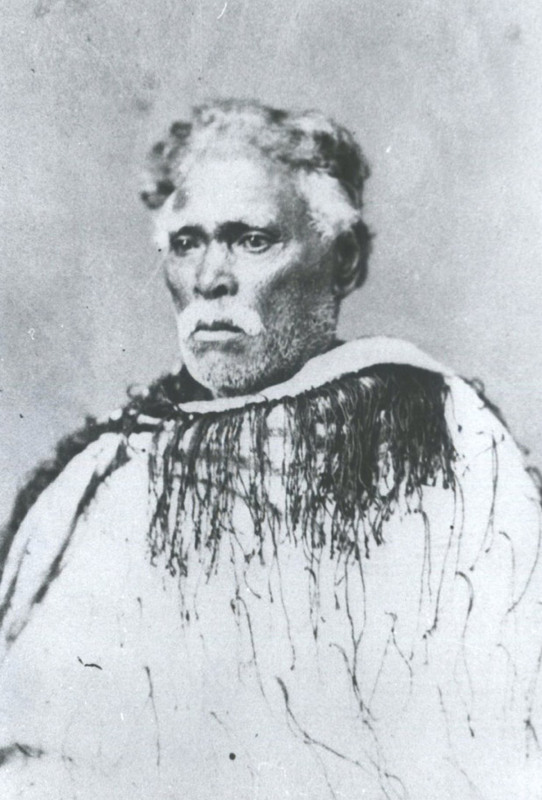 He was part of the taua of young Kahungunu chiefs who reoccupied the Heretaunga in the 1830’s and he remained militant and committed to the philosophy of “ringa kaha” (the use of force of arms to defend one’s land) as an expression of his tino rangatiratanga until his old age. These two decades of internecine warfare provide one of the key drivers for the Ahuriri chiefs to actively encourage European settlement and the subsequent engagement with the Crown and its agents and emissaries. In his opening address to the Provincial Council on 2 June 1868, McLean observed that the Maori population possessed no inconsiderable part of the wealth and resources of Hawke’s Bay. He noted that the people were rich in land, cattle, horses, sheep, mills and agricultural implements and were applying themselves to industrial occupations: they were generally amenable to the law and contributed to the prosperity of their province. However proceeds from land sales were soon spent and chiefs bought goods from local shopkeepers on account to feed their own military forces and were forced to sell more land to discharge their debts. Ahuriri Maori had legitimate expectations of collateral advantages yet had accepted that the land was going from them permanently. They put their faith in the Crown’s assurances and gambled on a positive future. The Ahuriri settlement is intended to enhance the ongoing relationship between Ahuriri hapu and the Crown in terms of the Treaty of Waitangi, its principles and otherwise. Treaty Minister Hon Chris Finlayson seeks an “empowering and enduring solution for Ahuriri hapu”. So do us all. We have Treaty fatigue. However in my view the current Ahuriri proposition is not empowering although we may all well have to endure it, tangata whenua and tangata tiriti alike. To be durable and lasting a settlement has to be just and fair as is possible in the circumstances. The Crown on one hand has an imperative to cauterise wounds so the nation can enjoy the anticipated synergy of a post settlement society. On the other hand this cannot be at any cost. It needs to be able to contain the contingent liability implicit in the Treaty. So they take a hard arsed approach on behalf of all New Zealanders. Fair enough. Realpolitik, the reality of a prevailing fixed quantum for the transfer of cash and tangible assets for each of the regional settlements – the fiscal envelope – means that the land and cash used for settlement will be only a fraction of what has been lost. Accordingly the representational issues addressed by way of an agreed historic account and ensuing apology are required to fill the gap and enable the reassertion of mana on the part of all parties and the re-establishment of a mutually respectful relationship. These intangible aspects are highly significant and require sensitivity and great skill to construct and express. They need to be gold plated by dint of good scholarship and exquisite facilitation of dialogue between the hapu affected by the apology especially when some of the affected hapu fought alongside the Crown. Implicitly as it stands when the Crown apologises for waging war and confiscating land their allies are part of the apology. But should that be so? In 1866 did Tareha’s people of Ngati Paarau have a right to defend themselves by force of arms if the Crown could not? In their alliance are they part of the Crown? The Crown has insisted on a “Large and Natural Groupings” policy which conflates a set of otherwise discrete although interlinked regional Claims. However this means that the essence of each, the unique “ha” or breath that differentiates one from another is lost or muffled. The seminal Ahuriri Claim (WAI 55 – the Napier Inner Harbour, the whanga) stands on its own as a unifying symbol for the seven hapu who collectively make up the Ahuriri mana whenua. 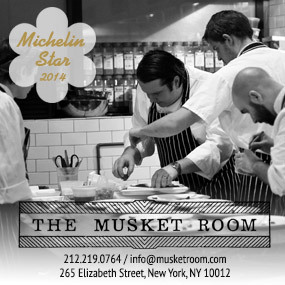 It has been carried forward by successive generations since 1852. It has a certain simplicity and sacredness and is underpinned by the universal support of the mana whenua. Some of the other claims however (in particular WAI 299 and WAI 400) carry a high degree of angst and hurt and blame arising from the Crown’s policies that led to land confiscations. Those same Ahuriri hapu that are unified through WAI 55 have within them individuals and whanau who themselves in the 1860’s held different and differing philosophical and political stances. These matters have been brought forward to the present in the proposed historic account and apology. In this respect, by insisting on a consolidated approach the Crown has created a metaphoric historical large hadron collider within which it hurls difficult-to-reconcile perspectives at one another. The Ahuriri hapu “agreed historical account” is derived from the findings and conclusions of different Tribunals dealing with differing issues within differing contexts. 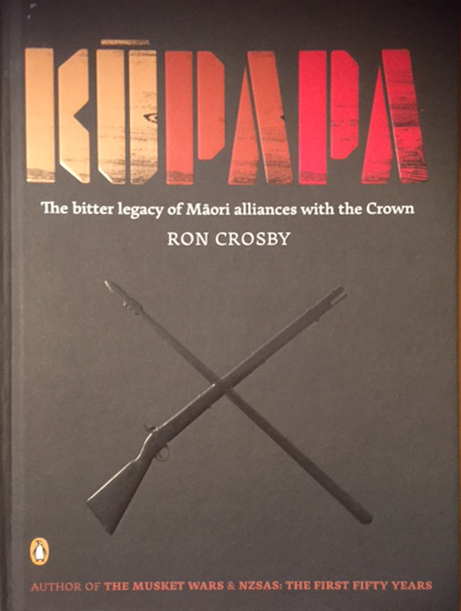 Although the Crown has forced the Claims themselves to be commingled it has neglected to revisit and reconcile the historic narrative and to work with the Claimant groups to examine and treat those paradoxes and contradictions and resolve them amongst themselves in the context of what is generally a shared whakapapa. twin communities co-operating in an often tense but more or less equal ‘symbiosis’… economically interdependent, politically allied but autonomous, a more or less equal partnership… derived partly from mutual misunderstanding… based more on pragmatism than principle or policy. The Tribunal found that the Crown should not have acted in a way that advantaged one group of Maori over another. But is that the reality of the time? In the Ngati Pahauwera claim the Crown apologises for not adequately defending their people against the Hauhau, leading to the loss of the lives of 60 people including women and children. Is it intimated then that Paarau should have sat passively by when an armed taua of Hauhau were at their door? The failure to synthesise competing narratives in Ahuriri leads to an over simplification of history and in some ways presents a subjective rewrite. Rather than enable a restorative process the Crown seems to have ignored the point (consciously or not) that this is relational work and has pushed a tick box process to “get the settlement over the line”. If one wants to raise issues of ancient enmity through a poorly constructed record and apology then kia tupato, you walk on bones. Although the coastal Kahungunu were regarded as loyal to the Crown they were as Crown historian Dr John Battersby put it – a political force in their own right making up their own minds on major issues and reacted to each case on its merits. In the 1860’s the rise of “Hauhauism”, described by Foster as “a religious fighting organisation” led to fresh divisions and internecine warfare amongst Maori many of whom stood side by side with the Crown and settler communities in support of their Treaty partnership or their own interests, or a mix of both, depending on your point of view. One of the major issues is raupatu, the confiscation of Māori land under the NZ Settlement Act as a punishment initially for tribes who were deemed to be in a state of rebellion, similar to policies in 17th Century Ireland. It was originally envisaged that military settlers would be placed on this land. However land confiscation became a handy tool to alienate Maori from their land and under a series of amendments land was also confiscated from those who had fought as government allies. Not all confiscated land was retained by the Crown. Much was returned to Māori, although not always to its original owners. This is part of the situation at Ahuriri. The history of each confiscation became very confused and often generated large quantities of amending legislation, petitions, and litigation in the courts. In 1869 Donald McLean, by that time native minister in the Fox–Vogel government, concluded that the confiscations were nothing but an expensive mistake. The consequences of the mistake prevail and the Ahuriri settlement in part attempts to address that although in my view, poorly. So, firstly as a Treaty partner and then as a father I feel compelled to offer a counter narrative to that proposed by the Crown and thus defend the mana of the tipuna of my children Tareha Te Moananui MHR. I am not an historian. That will be apparent to those that are. I apologise for the lack of references although I have them if needs be. I’m a polemicist. This essay attempts to utilise political activist ethnography as a methodology by drawing on pertinent published material and the records of relevant organisations but I concede that as I come in with a purpose I enter the field of apologetics. My interests and intentions are thus declared. Beyond this preamble I’ll offer an introductory story, explain the settlement process, and then deconstruct what has happened in Ahuriri. At this point of writing, in the first week of September 2015, I have spent an entire month researching and trying to better understand what has occurred. It has been a therapeutic process. I have no idea if the proposed Ahuriri Deed of Settlement will be endorsed or rejected but either way I’m committed to support the best possible outcome for all. I came out of the Mana Ahuriri Treaty of Waitangi Deed of Settlement Ratification hui held in Conservation House on the Napier Marine Parade in the evening of Friday 31st July 2015 with sadness in my heart. The hui was the first in a series being held by the Board of Mana Ahuriri Incorporated (MAI), the Crown recognised settlement entity established in 2009 for Treaty claims emanating from the general area around Ahuriri (Napier). The purpose of the hui was informational. A ballot has recently been held to ratify a Deed of Settlement for a raft of Treaty of Waitangi Claims that has already been initialled, and to approve a new Post Settlement Governance Entity (PSGE) to accept the settlement. The hui whimpered to an end after matua Heitia Hiha the senior kaumatua for Ahuriri rose to his feet in anger and disgust after an exchange between a presenter and a dissenter, one of his own hapu. “You settle it!” he said as he and his roopu of kaumatua walked out. For those of us who know and love this man, and know of the heart and soul he has put into this kaupapa for the best part of thirty years, his expressed and obvious sense of hurt was poignant. 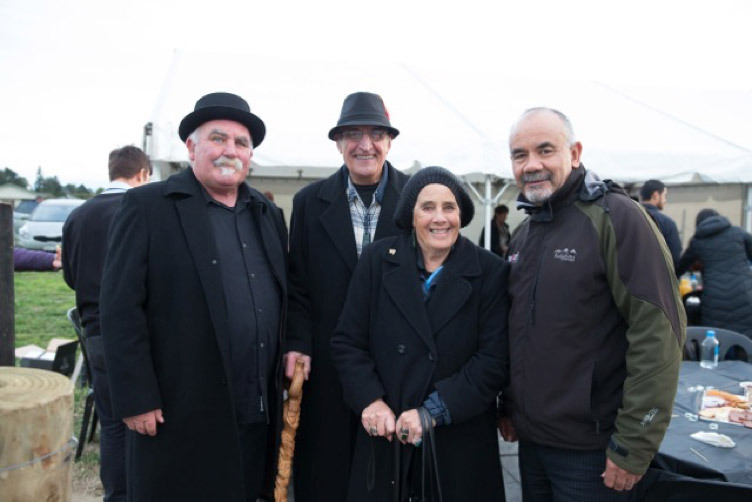 I’d been with the old man at Waiohiki only two weeks or so ago for the opening of the Ngati Hinewera Papakainga. “This is where it all started, Denis” he said to me with his eyes sparkling and his smile wide. He was referring to WAI 55, the Whanganui a Orotu Claim for the former inner harbour at Ahuriri, which more or less was put into motion at our kitchen table. In their recount it sounds as if they had been virtually bullied by the Crown officials over years of prolonged negotiation. “Take it or leave it” was one of the frequently repeated phrases they used to describe the Crown’s approach. Interestingly enough historian Tony Walzl uses exactly that phrase to describe the attitude of Donald McLean, the Crown’s key agent in the area in the 1850’s and 1860’s in exactly the same way when it came to negotiation. “Take it or leave it”. Mr Walzl was of the opinion McLean’s tactics worked and the take it or leave it approach’ made the Maori believe that they were hearing a ‘final offer’. Besides “take it or leave it” the other refrain we hear from the MAI negotiators is that “if we don’t settle now we go to the bottom of the queue”. This intimates another long wait for settlement of a Claim that the Tribunal has said is already well overdue. Its another example of bullying people who are already exhausted. In reality if the Crown actually tried to punish the Claimants for rejecting the settlement it would be counter-productive to themselves and the Hawke’s Bay economy. Its bullying bluff. 160 or so years after the first standover plus ça change, plus c’est la même chose. Coming out of the hui I said to one of the independent Crown observers “That was sad.” “Oh” he said, “they generally end up like that”. WTF! The events of Friday troubled me all that weekend. You can only control those things directly in your own power to affect. One of those is interpersonal relationships. On the following Monday (August 3rd) Taape and I arranged to visit matua Heitia Hiha. Taape baked a cake and I picked some limes to take as a koha. We were welcomed by whaea Marg and then the old man himself. After he led us in karakia I told him that we had simply come to say that we loved him, respected him, and saw him as our senior kaumatua for our rohe, the Ahuriri area. We had a bit of a shared lament about the way things had turned out at the ratification hui. Frustratingly, to my observation, despite, and even within the constraints applied by the Crown, all of the issues that I present as being sub-optimal within the Ahuriri Deed of Settlement could have been solved. This outcome required the Crown officials to act as referees or even facilitators to ensure that the MAI Board responded to and engaged with those who voiced their concerns. However, as I will demonstrate, they regularly obfuscated by treating issues as matters of mandate and refused to enable even third party independent “circuit breakers” to enable meaningful dialogue. Moreover if indeed the MAI negotiators and Board have been bullied by the Crown officials then this may well have coloured the way in which MAI in turn have tended to respond to those that challenge them. The opportunity presented to the Crown on multiple occasions to intervene and enable empowerment by bringing the marginalised hapu into the framework was ignored. 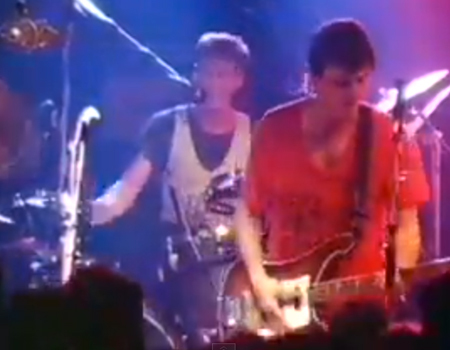 Instead they allowed their own behaviour to be mimicked. I reckon the Office of Treaty Settlements has failed in its duty of care to ensure due process and in so doing have failed their Minister. In any case the die is cast. Whatever happens as a consequence of the ratification process – and I’m writing this with only days to go before we know – we need to regroup and make the best of a bad situation. People want to move out of grievance mode and into planting and harvesting, making the most of their resources and moving to a brighter future. The chances of that occurring would also be improved if the Crown would take the boot off the throat. Its interesting. The proposed Ahuriri apology expresses contrition for the Crown’s behaviour and policies160 or so years ago. One such matter is “the effects of the ten owners rule” (1866-1873) whereby what may previously have been collectively owned land in the context of a hapu was transferred into the title of ten specified individuals. In my view that rule is analogous to the large and natural groupings policy that sits at the heart of the current Ahuriri settlement and visits another act of alienation upon the contemporary claimants. This large and natural regional groupings policy was introduced in 1996 as a ‘casebook’ inquiry method with the intention of establishing a more efficient procedure for bringing claims onto the Tribunal’s hearing programme. The regional grouping was intended to ensure compliance with the rules of natural justice, as well as lead to greater efficiency and economy by grouping for concurrent inquiry all the claims that related to the Crown assets of a particular geographic district. The Mohaka ki Ahuriri inquiry – related to the Mana Ahuriri cluster – was the first Tribunal inquiry held under the casebook method. The intent may have been good but it has produced unintended consequences. So, as I’ve noted, the manipulative, divisive, and ultimately bullying “take it or leave it” attitude expressed and practised by McLean as a Crown agent in 1851 is being repeated today by its contemporary agents. Even as they are apologising they keep putting the boot in. I’d pretty much forgotten about those early days. We were young, enthusiastic, and naive. The seminal Ahuriri claim is called WAI 55, its number revealing that it was made early on in the process (1988). Napier’s old inner harbour, Te Whanganui a Orotu has been an intergenerational bone of contention since 1852 and is possibly one of the most litigated about areas in Aotearoa. Friend… I have been considering for 15 years to have white people, some Cows, some sheep, some horses, and some Goats… that I may see (err [sic] I die) in what consists the wealth of the white people – let your payts [payments] be large, and let also the Number of white Men be large. be Men of high principle or Gentlemen no people of the lower order – let them be good people – let them be the Colony of Missionaries who [we] have heard are coming out. The principal talking men included Tareha, Karaitiana Takamoana, Kurupo Te Moananui, Paora Torotoro, and Wiremu Wanga, who were to take a leading part in the sale of the Ahuriri block, as well as Puhara from Pakowhai. According to the Tribunal Report in December 1850 there was a large meeting of about 400 to 500 Maori held at Ahuriri to negotiate with McLean over sale of land. 2nd Speaker Tariha [sic]: “Welcome to your land the water is ours the land you see before you is yours”. He then named the boundaries all agreeing to them. Tareha one day said to me that he had only sold the land as far as the high water mark, and that all that is being now reclaimed is his property as having been under the sea when he sold the Ahuriri block. None of the petitions concerning Te Whanganui-a-Orotu can be fully understood in isolation. 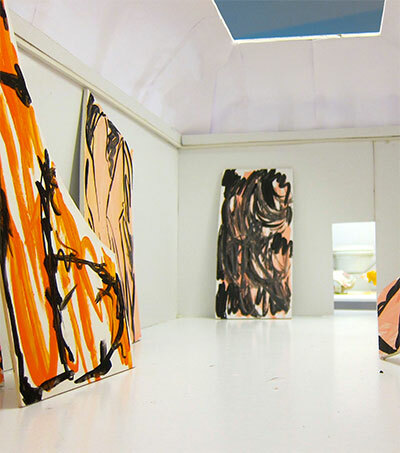 Each represented the continuation of a take (cause) that goes back to Tareha, Paora Torotoro, Karaitiana Takamoana, Henare Tomoana, and others and that has passed down from generation to generation to the present claimants. 1875 Ahuriri hapu petition Parliament about loss of Te Pakake. 1916 Hiha Ngarangione applies to the Native Land Court and asks for investigation . 1918 Mohi Te Atahikoia gave evidence before the Native Affairs Committee in 1918. Encouraged by them to negotiate with the Napier Harbour Board he got no satisfaction. He and 47 others then lodged a petition in 1919 and they appeared before the Native Lands Claims Commission in 1920 but to no avail. A 1919 petition signed by Mohi Te Atahikoia and 47 others claimed ‘a portion of the sea called Te Whanganui-a-Orotu and land known as the Puketitiri Reserve’ (A6(f)). The petitioners’ main grievance was the ‘taking’ of Te Whanganui-a-Orotu by the harbour board, even though Maori owning the Ahuriri block had arranged with McLean on 17 November 1851 that it should not be taken. The reason for this arrangement was that: the foods in the sea were… the main foods of our ancestors and our forefathers, and are today with us, and will be handed down to our children after us. 1920 Native Land Claims Commission Investigation. 1924 Te Whapango and 18 others petitioned Parliament on the same cause. 1931 1931 Napier earthquake uplifts area from the sea – Crown continues to claim ownership. 1932 Hori Tupaea and four others petitioned again in light of the land now being above the high water mark. A report was to be presented by Judge Harvey. 1934 Native Land Court Enquiry conducted by Judge Harvey. 1936 Maori Land Court appoints trustees for islands in whanga. 1940 Tuiri Tareha wrote to the Native Minister asking for the Report. 1948 Judge Harvey’s 1934 Report submitted. 1948 A gathering of the hapu held at Ahuriri to petition the Govt to return the whanga. 1949 A meeting was held with PM Peter Fraser in Napier. Fraser had said that it was the intention of the Govt to settle all long standing Maori land claims. The story is told apocryphal or not that Fraser offered to return 50% of the whanga. The elders apparently responded that if he could justify 50% then why not it all? 1951 Tuiri Tareha asked the Min of Maori Affairs E B Corbett what the Govt intended to do about the whanga. Corbett replies that there is no ground for action. 1955 Ahuriri hapu ask Maori Land Court if it still willing to receive evidence in support of 1932 competition. 1988 Claim lodged to Waitangi Tribunal. Huriana Lawrence challenged Ngati Paarau to put in a Claim for Te Whanganui a Orotu or he would. Taape consulted with koro Tuahine Joe Northover, Heitia Hiha, Fred Reti and uncle Jock Pene. A series of meetings were held at our place at 86 Waiohiki Rd. 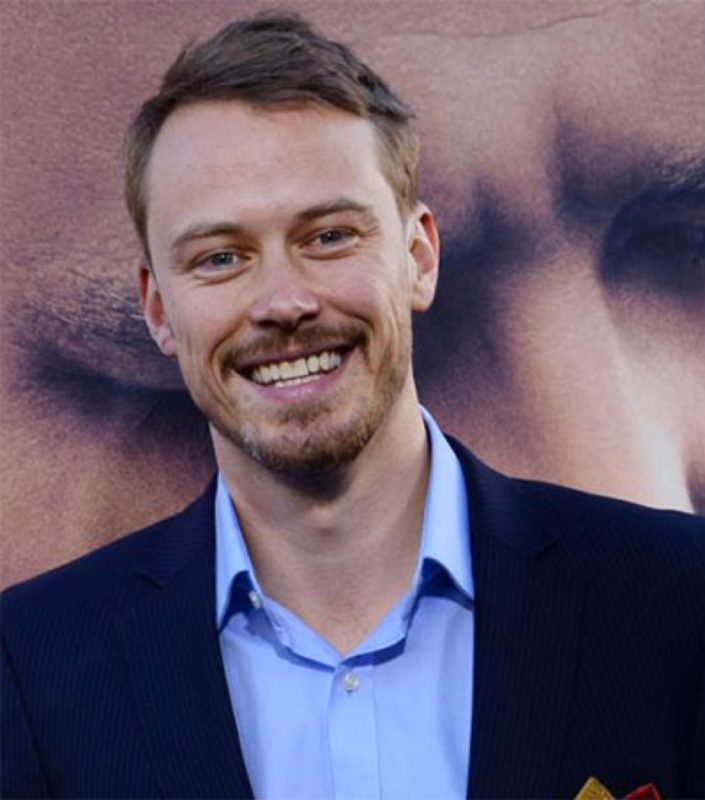 Russell Fairbrother was enlisted to give legal advice. It was decided to take a broad and inclusive approach and kuamtua such as matua Te Otane Reti were enlisted. Taape and David Pene represented Ngati Paarau. Because a claim had to be submitted in the name of an individual it was agreed that matua Te Otane be our pou. It was also helped that he was eligible for legal aid. A working group of seven hapu was established in March 1988 and called Te Whangaroa ki Kahungunu Incorporated Society. It was marae based and hapu focused. Moreover it was inclusive and collaborative. The marae represented in the claim were Waiohiki (Ngati Parau); Moteo (Ngati Hinepare, Ngati Mahu); Wharerangi (mainly Ngati Hinepare); Petane (Ngati Matepu, Ngati Tu); and Tangoio (Ngati Tu, Ngai Te Ruruku, Ngati Kurumokihi, Ngai Tawhao). 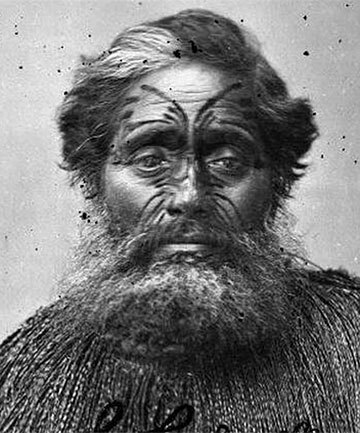 Every hapu was celebrated for its unique identity even though some whanau could identify with different hapu depending on where they were located. It was and, and. It celebrated whakapapa and enabled whanaungatanga. The Claim was lodged that same month. The initial claim arose from the Crown’s inclusion of Te Whanganui-a-Orotu in the purchase of the Ahuriri block in 1851 and the vesting of most of it in the Napier Harbour Board as a harbour endowment by statute in 1874 and 1876. As a result of subsequent reclamation and land development a uthorised by a series of empowering Acts, it developed into a multi-issue claim. Growing pollution, the uplifting of a large part of the inner harbour or lagoon by the 1931 earthquake, and the expansion of Greater Napier increased the claim’s complexity. The Claim was granted urgency in 1993, because it related in part to leasehold sections now owned by local authorities in the Napier area that were to be freeholded. 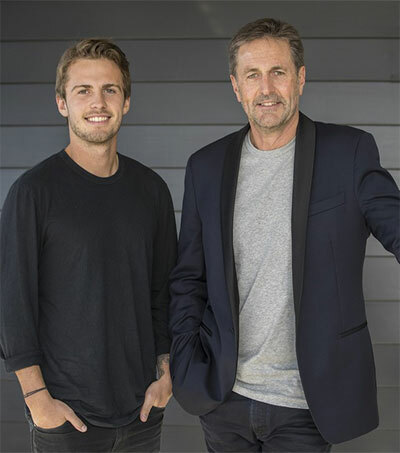 There were a number of factors at play but perhaps trepidation about the possible return of the land to Maori propelled the local Labour MP Geoff Braybrooke to introduce a Private Members Bill which became the Hawke’s Bay Endowment Land Empowerment Act 1989. This vested the properties with the Napier City Council and HB Regional Council. As noted this action had prompted the WAI 55 claimants to seek urgency because they feared that the authorities would sell the land. However by 1993 the Treaty of Waitangi Amendment Act meant that private land, including that of local authorities, was removed from the schedule for settlement. The tribunal noted that by the early 1970s virtually nothing remained for the claimants and their tipuna of their much prized taonga, food store, traditional resource area, and economic base. Every one has profited from Te Whanganui-a-Orotu, it seems, except the traditional owners, the Maori, systematically deprived of rights and benefits. Where possible both Crown and Napier Harbour Board have chosen to ignore Maori rights. (D4:61) We agree. Clearly, reclamation, land development, and urban expansion had dispossessed Maori ‘owners’ of everything except an inaccessible canoe reserve. Indeed, Maori had been denied any right to share in Napier’s ‘gift from the sea’. The claimants sought a finding that Te Whanganui-a-Orotu was their taonga and that their ancestors had never knowingly or willingly relinquished their tino rangatiratanga over it and which, but for statute law, rightfully belongs to them. They wanted the Tribunal to recommend that legislation vesting the title to Te Whanganui-a-Orotu in others be repealed or amended, that all Crown and other public lands in Te Whanganui-a-Orotu be returned, and that compensation be paid for those parts of Te Whanganui-a-Orotu that had passed from the Crown into private ownership. The Crown said that Te Whanganui-a-Orotu was included in the Ahuriri purchase of 1851, and that, anyway, it is an arm of the sea, which under English common law is the property of the Crown. 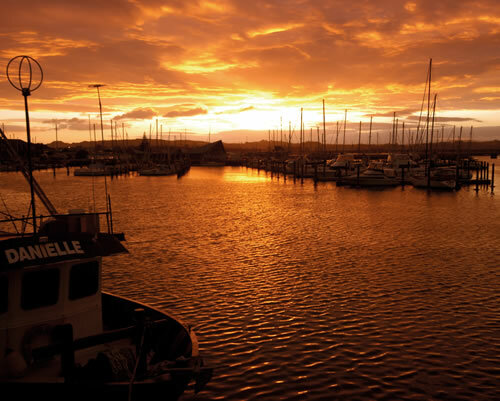 Furthermore, in 1874 and 1876 Parliament passed legislation vesting Te Whanganui-a-Orotu in the Napier Harbour Board, and, in 1989, legislation was passed empowering the board’s successor, the Hawke’s Bay Harbour Board, to sell the land vested in it by the 1874 and 1876 Acts. The Tribunal that heard the claim was comprised of Bill Wilson (presiding), Bishop Manuhuia Bennett, Sir John Ingram, Mary Boyd, and Georgina Te Heuheu. Six hearings were held between July 1993 and July 1994, and the report was released in July 1995. The Whanganui a Orotu inquiry has been the most comprehensive yet conducted in to Ahuriri. Furthermore, it is the first, and indeed only, inquiry that has attempted to assess the extent to which the actions, policies, and omissions of the Crown and its agents in respect of Te Whanganui-a-Orotu have been and continue to be inconsistent with the principles of the Treaty of Waitangi and have prejudicially affected the customary, Treaty, and contractual rights of the claimants. The process of research and discovery of shared history was uplifting and the process of presentation to the Tribunal was cathartic. It was like an extended waananga. coming further down to Hinetua and Tunui a Rangi, who was a powerful tohunga and Ngati Whatumamoa chief of Heipipi when Taraia arrived at Te Whanganui-a-Orotu. Tunui a Rangi, so it is said, would ride his ancestor Ruamano out to sea and back and tie him up at Whareponga, cove within Te Whanganui-a-Orotu, thus demonstrating his mastery of the forces of the deep (D4:38; D27:4–5). From Hinetua and Tunui a Rangi, the same whakapapa line comes down to Turauwha, and finally to Tareha (D4:39), who was, according to William Colenso, one of the five principal chiefs at Ahuriri in the late 1840s. Ngati Hinepare, Ngati Mahu, and Ngati Parau all descend from this line (A12:3). And even more it evoked a special sense of engagement and responsibility to be a kaitiaki. According to Kurupai Koopu, it was Tareha’s privilege to go to Pania’s Rock. ‘The way the Maori looked at it,’ Hineipitia (Beattie) Nikeria explained: that rock represents the Tareha family. I reckon that place belongs to them. They can go and fish there. They’re the ones who can go right up to the rock. They’re the only ones allowed. Moremore doesn’t mind. The Tarehas were connected with Moremore, said Selina Sullivan, but they were the only ones. ‘When we got our kinas they were not very big but plentiful. And pauas. But when the Tarehas went in they got the big ones’. Rangiaho Brown recalled that when people going to get kaimoana got nothing they would pick up his father, Kapi Tareha, and take him with them, and then there would be ‘Oh, kai moana everywhere’. An abundant supply of kaimoana could be had by wading into the tidal flats in the 1920s, and few people fished from boats. There were crayfish at Tapu Te Ranga and patu (big horse mussels) on the bottom of the lagoon, masses of which were exposed by the earthquake. The Tareha family used Roro o Kuri as a camping place when they netted flounder. Another island pa at the north end of what is now the Hawke’s Bay Airport was Tuteranuku, the settlement of Paora Kaiwhata’s father. Te Pakake, a low island or sandbank inside the Ahuriri Heads, was a communal gathering place in times of war. Ngati Hinepare, Ngati Mahu, Ngati Parau, Ngati Hawea, and Ngati Kurumokihi all occupied it when under threat of invasion. Separated from the south-western end of Mataruahou by shallow tidal waters, and with a canoe landing place nearby, was Pukemokimoki, which was fortified by Ngati Paarau. Ngati Tu, Ngati Matepu, and Ngai Te Ruruku had rights at the northern end of Te Whanganui-a-Orotu from Keteketerau round to Whareponga Bay; Ngati Hinepare, Ngati Mahu, and Ngai Tawhao had rights on the western shoreline; and Ngati Parau had rights at the southern end. Through intermarriage, some families exercised fishing rights in two zones. Te Pakake, ‘a communal gathering place in times of trouble’ near the new Ahuriri outlet, was defended by those who had refused to accompany Ngati Whatuiapiti to Nukutaurua. They were mainly the local hapu of Ngati Kahungunu: Ngati Tuku a Te Rangi, Ngati Te Rangikamangungu, Ngati Hinepare, and Ngati Matepu, under Tareha, Tareahi, and other chiefs, assisted by Ngati Hawea and Ngati Kautere. Tareha of Ngati Paarau used Te Koau (Gough Island) as a camping ground for fishing. It was rich history and despite the frustration raised by past injustice we were all buoyed and hopeful for the future. 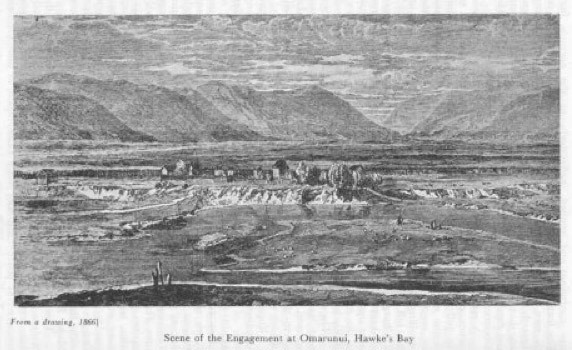 The Tribunal unequivocally found in favour of the WAI 55 claimants finding that Maori never sold the inner harbour in the first place and declaring that the Crown had breached Treaty principles in claiming ownership of the bed of the shallow harbour, covering some 3840 hectares, as foreshore and seabed under common law rules, and alternatively as included in the Ahuriri purchase of 1851. The expectation of the WAI 55 claimants was that this land which was held by the Harbour Board would be returned to the hapu collective who would become the landlords. Most of this high value land sat in the Ngati Paarau traditional takiwa (area). It was densely built on and was the subject of the Glasgow Lease arrangement. ‘move into a new era of cooperation and partnership that will ultimately benefit the hapu of Te Whanganui-a-Orotu, the people of Napier and the nation’. In vindicating the claimants and to a most significant degree, the Tribunal found that a number of clear breaches of Treaty principles had occurred, beginning with the Crown’s inclusion of Te Whanganui-a-Orotu in the Ahuriri purchase in 1851, and it recommended that there be no further alienations of any Crown or State-owned enterprise land within the pre-1851 boundaries of Te Whanganui-a-Orotu. It also suggested that a substantial fund be set up to compensate for what the Tribunal concluded were irretrievable losses caused to the claimants. At that stage, however, the Tribunal considered that it was inappropriate for it to make final recommendations on the issue of remedies, and it set aside a week in early November 1995 to hear submissions on that issue. In June 1998, the Tribunal released its report on remedies, which recommended that various lands in the claim area be returned to the claimants and that monetary compensation be paid. After many years delay caused by uncertainty as to Crown policy, attempts at negotiation with the Crown through the Minister of Maori affairs and the then Minister in Charge of Treaty Negotiations (the Attorney General), the case eventually was set down for a resumption hearing in August 2004. At the hearing evidence was heard and some submissions advanced by counsel but the net result out that day’s hearing (9 August 2004) was that the hearing went into abeyance with the parties (the Crown and the claimants) reach some negotiated position without the need for further hearing but that if a further hearing were necessary then the matter could be brought on. negotiations between the parties should commence immediately and not be unduly or unreasonably delayed. The negotiations should proceed on the basis that, in light of the 1995 report, the Crown has a fiduciary obligation to ensure the rangatiratanga of the claimants over their taonga, Te Whanganui a Orotu, is restored. Other general recommendations would be made—with leave given for claimants to seek more specific recommendations if negotiations with the Crown were unsuccessful. Landcorp farm: the tribunal found that this should be returned because it was the single largest property within the claim area, it included 2 former islands (Roro o Kui and Tapu Te Ranga) of particular importance to claimants and restoration of some of the lands under claim would restore the claimants mana and tino rangatiratanga. Ahuriri Estuary: this was the last remaining part of the whanga still largely under water and is Crown owned and managed by the Department of Conservation. The tribunal recommended its return to the claimants, in a time and manner negotiated between the parties, and in conjunction with the development of a new regime for management. Other Crown-owned land: the tribunal supported negotiations involving other properties held by the Crown for conservation, education, electricity, railways, police, justice and social welfare purposes—whether surplus or not. Hawkes Bay Airport: this 189 hectare area was run as a joint venture by the Crown with Napier City and Hastings District councils. The Crown was seeking to privatise the venture and sell its 50% shareholding. The tribunal found that the concept of the claimants entering into a joint venture with the council to own the airport was a “most satisfying one.” Such an arrangement would reflect the spirit of the Treaty in a more meaningful way than an award of monetary compensation. Monetary sum: the claimants should receive a “substantial fund of money” as compensation for the loss of the whanga and for islands within it which were important wahi tapu and urupa. The size of the sum should be reached by negotiation and would be affected by lands returned to the claimants. The sum should reflect tangible and intangible losses and establish a hapü economic base to which claimants and their descendants should have access. The valuation of $23.065 million for land and economic losses, excluding intangible losses, should be noted. If negotiations failed the tribunal would give favourable consideration to a request for more detailed recommendations on this issue. Management of Ahuriri Estuary: the tribunal recommended that a new joint management regime between the claimants and the Department of Conservation be developed for the estuary in conjunction with its return to claimants. Local governance: Following submissions from the claimants that a structure which gave more direct power and control to the 7 hapü over their lands and waters under a hapü management plan was required, the tribunal recommended that 2 bodies be created. The first to be a hapü authority with powers of policy making and planning over their taonga. The second to be a strengthened Mäori standing committee of the local councils enabling the 7 hapü to continue representation on wider regional issues. this would be a denial of justice to the seven claimant hapu. At about this time Taape and I dropped out of the Treaty process. I took the family to Melbourne where I was at university. Taape had some input to the Waiohiki Claim (WAI 168). We heard about issues on the kumara vine but it looked as if everything was in good hands and on track. Fast forward to the new millennium. Our marae at Waiohiki is destroyed by a torch bearing hand (He mea kai ra na te ahi, he mea whiu ra ki te matikara muramura). 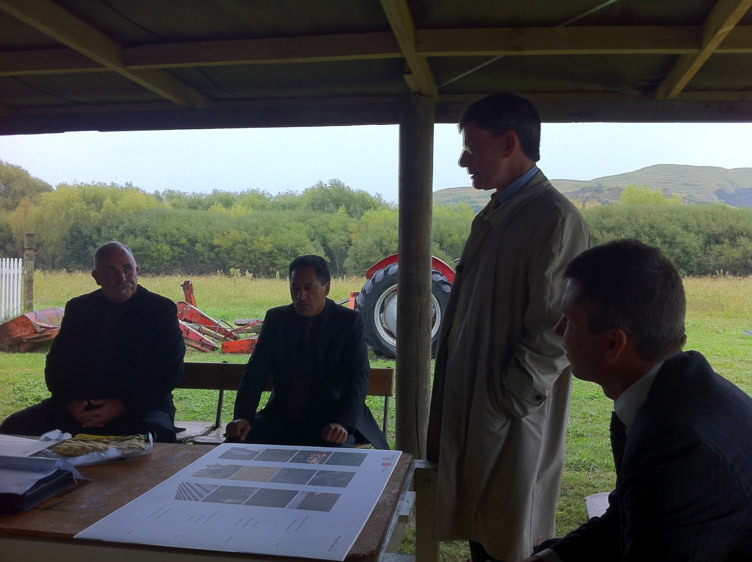 In 2011 I am appointed as the chair of the fundraising committee for a new marae complex. Hon Chris Finlayson is the Minister for Arts Culture and Heritage at the time and I ask Chris Tremain our local MP if he will organise for the Minister to visit Waiohiki to discuss funding. He readily agrees. He likes coming to the Hawke’s Bay. During the course of our dialogue that day the Minister asked “have you considered the potential of your treaty settlement to contribute to the project?” We had not. I set out to investigate. What I discovered shocked me. Whilst the original composition of the Mana Ahuriri Board had accidently managed to ensure each hapu was represented when Nigel Hadfield resigned because of conflicts of interest due to his role as a Crown agent there was no Ngati Paarau replacement. We were voiceless and unrepresented. The overall negotiation and settlement process is run by a Crown agency, the Office of Treaty Settlements, established in 1995 as a separate entity within the Department of Justice. It reports to and advises the Minister in Charge of Treaty of Waitangi Negotiations (MICOTOWN) currently the Hon Christopher Finlayson. Treaty of Waitangi Claims generally start off as specific and individual claims but may be wound into others of a similar nature or region. In 1996 a ‘casebook’ inquiry method was introduced with the intention of establishing a more efficient procedure for bringing claims onto the Tribunal’s hearing programme. The regional grouping was intended to ensure compliance with the rules of natural justice, as well as lead to greater efficiency and economy by grouping, for concurrent inquiry, all the claims that related to the Crown assets of a particular geographic district. The intent may have been good but as will be revealed it has produced unintended consequences. At the start of the path to settlement an entity to manage the process is established by the claimant cluster and it follows a detailed process to gain an initial mandate. This first mandate is only to negotiate not to settle. The government then considers if the entity seeking to negotiate a settlement with it is indeed a “large natural grouping” and that it has met the requirements for mandating as set out in the official guidelines. If all is well the negotiations process begins. This takes a sequence of prescribed steps each of which results in a particular type of written agreement: Terms of Negotiation, Agreement in Principle, and Deed of Settlement. The Deed of Settlement provides a narrative of the negotiations and of the historic events that gave rise to the claim, as well as detailed provisions relating to the return and management of various kinds of assets. It specifies areas of cultural redress and proposes an apology. Once agreed this Deed of Settlement is then initialled by both Crown and representatives of the mandated Claimant entity. The mandated group then consult with their constituents as to the content of the initialled deed and as to the structure of a post settlement governance entity. These two issues are then presented at a series of ratification hui and are voted on by registered adult members of the representative entity. If both the settlement and the structure of the recipient entity are agreed to by a majority of the members then the deed is implemented in statute. The Tribunal accepted that the seven hapu of WAI 55 had considerable interest in other claims notably WAI 400, WAI 299 and WAI 168 but noted that only 7 hapu, Ngati Paarau, Ngati Hinepare, Ngati Tu, Ngati Mahu, Ngati Ruruku and Ngati Matepu are tangata whenua of Te Whanganui a Orotu. That was the reason they brought the claim. WAI 168, WAI 400, and WAI 299 represented different groups of hapu and although these claims include some or even all the seven hapu they have their own intent and purposes. Furthermore, the Tribunal noted that they had not sought to reintegrate Te Whanganui-a-Orotu issues with those of other claims. Indeed, they filed a new claim, which was registered with the Tribunal in 1993 as WAI 400, to deal with land issues arising from the 1851 sale. there was a danger that if specific recommendations for relief in relation to the inner harbour lands were not made now, they might never be made as the regional claims were to be investigated by a different tribunal from the one that heard the inner harbour claims. Nevertheless, I presume promoted by the Crown in pursuit of its LNG policy, in August 2006, a hui was held with representatives of the Wai 55, Wai 168, and Wai 400 claims. Representatives of the three claims agreed to join together to form a Large Natural Grouping for Treaty settlement purposes, and developed a Heads of Agreement for this purpose. Although there had been some tensions between WAI 299 and WAI 638 et al in 1998 both WAI 294 and WAI 638 et al group agreed that the approach to the settlement should be at the hapu rather than the whanau level. A further hui was held in 2007 at Omahu marae, with representatives of the Wai 55, Wai 168, and Wai 400 claims. Representatives of the three claims agreed to develop a mandate strategy and seek confirmation from the Crown that a combined Ahuriri Hapu claim would be recognised as a Large Natural Grouping for Treaty settlement purposes. In July 2008, the then Minister in Charge of Treaty of Waitangi Negotiations, Hon Dr Michael Cullen, wrote to the Ahuriri Claimant Group to confirm that the Crown had accepted the Ahuriri Hapu as a large natural grouping for Treaty settlement purposes. That same month the Ahuriri Claimant Group reached an agreement about the relationship between the Ahuriri Hapu claims, and the claims being progressed by Maungaharuru-Tangitu and Ngati Hineuru. In August of that year the Wai 692 claimants confirmed that the mandate for pursuing the historical aspects of the Wai 692 claim (Napier Hospital claims) remained with the Wai 400 claim, and would therefore be included in the claims to be negotiated by the Ahuriri Claimant Group. Tikanga to promote and encourage amongst the people the recognition of their traditional customs and values and to have regard to their custom in all practices and proceedings of the Society. 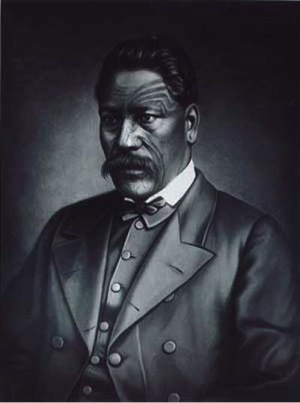 3.1 a) Tino Rangatiratanga. The hapu shall determine their own future and govern their own development over their whenua, ancestral lands, estates, ngahere, forests, fisheries and other taonga. b) Kaitiaki. The hapu are guardians and trustees for all things and matters pertaining to their cultural, social, economic and political development and further over their traditionally recognised responsibilities including over maunga, urupa, ngahere, wahi tapu, awa, moana, roto, taonga, kohatu, coastline, fisheries. Mana: The tikanga of the hapu is to be upheld. These are excellent guiding principles. However as will be demonstrated what appears to be a hapu-centric organisation has ended up being anything but. The opportunity was there to establish a marae based hapu-centric model using a shared template whereby each hapu could have its own hapu authority or trust. This would enable hapu to have common strategic planning and fiscal management and accountability systems and thus enable horizontal integration inter alia. Moreover this would then enable vertical integration with the post settlement matua body. It was an opportunity missed. 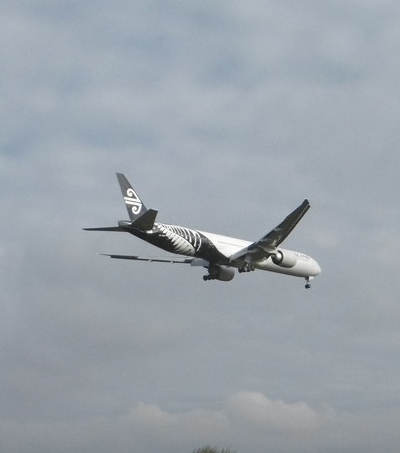 Instead the model was based on individualised Maori registered members of MAI. Thus whilst the MAI literature spoke of Hapu there was a silent or invisible conditional clause added requiring the claimant to be a “registered member of MAI”. By individualising Maori MAI had achieved what the Crown had striven to do since 1850. Accordingly in mid 2009 MAI held a series of hui at which the registered adult members of Mana Ahuriri were also asked to vote by way of postal ballot on the mandate proposal. Under the submissions process running from October to November 2009 59 submissions were received, all of which opposed MAI holding a mandate. OTS also received a further 11 submissions three of which supported MAI and eight were against. During the voting period of June to July 2009, 402 valid votes were received of which 397 supported MAI holding a mandate to negotiate historical claims on their behalf. In the MAI literature this is triumphed as representing 98.8% support. 397 individuals over seven hapu doesn’t seem to present a convincing mandate. – Ensure regular reporting to members and meaningful consideration of their views. They have patently failed in this regard. I’ll explain why from a Paarau perspective. Firstly Paarau haven’t had the benefit of effective representation in line with the principle put forward by MAI. Because of this Paarau weren’t at the table and their views and interests have been ignored. Paarau tikanga has been disrespected. For example the former Napier prison had been land-banked meaning it would be available for settlement purposes. The prison is in area where Ngati Paarau have long held occupational interests, in particular as a fishing settlement. Nearby are two very sacred sites. There are reportedly the bodies of prisoners who had died whilst incarcerated buried in the prison walls. Moreover Kereopa Te Rau was hung to death there. So from a Maori perspective it has a certain tapu status. Along with Mother Mary Aubert Tareha had opposed Kereopa’s execution even though he was Hauhau. They had shared whakapapa connections. Indeed after Kereopa’s death was pronounced Tareha and Aubert arranged to have his tupapaku (body) brought to Waiohiki. 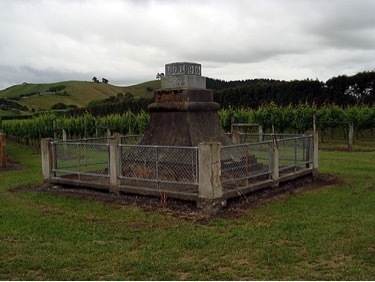 Kereopa was buried in the urupa opposite the Marae. Through some process that the MAI negotiators claim to have no knowledge of the Prison was leased to a member of Ngati Pahauwera, an individual who incidentally had crossed claimed against the WAI 55 collective. In any case the prison was established as a backpacker and tourist site with prison tours and the like. Much was made of the ghost of Kereopa and at one point it was even the venue for a televised “ghost busters” TV episode. It was gauche in the extreme. Paarau complained to MAI on the basis of a breach of tikanga but were ignored. Kereopa Te Rau has since been pardoned as part of the Ngati Rangiwewehi settlement so the issue becomes more poignant still. 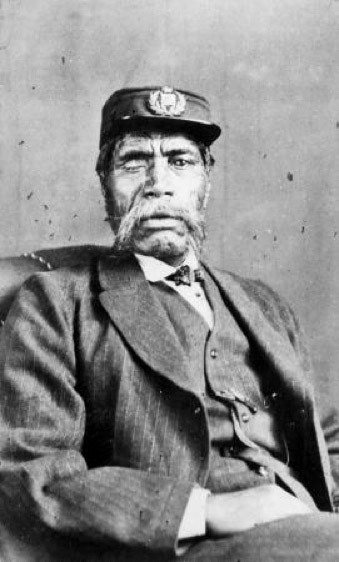 3.1 a) Tino Rangatiratanga . The hapu shall determine their own future and govern their own development over their whenua, ancestral lands, estates, ngahere, forests, fisheries and other taonga. Nor is pushing Paarau to the side in line with the autonomy/mana negotiations principle. “an impressive attempt by tangata whenua to restore this ancient pa and wahi tapu in a way that more appropriately reflects the mauri inherent in the area”. 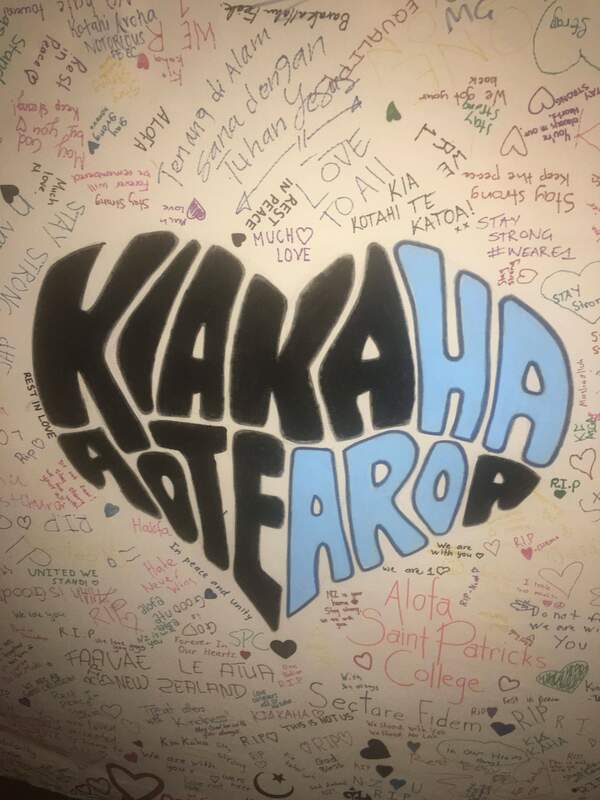 Now whilst Ngati Paarau accept and celebrate the interconnections with other hapu and iwi in respect to Otatara the statement above is that of a kaitiaki, a guardian. And as Ngati Paarau live in the shadow of Otatara that makes sense. DOC’s online literature recognises Ngati Paarau in this role, but in the new scheme of things they have to work through MAI and are not necessarily consulted or involved in what is going on in relation to the Pa. It is therefore a concern of the Board that your correspondence has been supported and signed by the respective Chairpersons of Marae purporting to represent the named hapu. First of all, the Board, have had no previous engagement with the Chairpersons and Marae and therefore we ask why now? Use of the word “purporting” is deprecatory. I’m unable to comment on other stance of other marae and hapu, but when the Waiohiki Chair Jenny McIlroy signed for Ngati Paarau she signed with the cognisance and support of the hui-a-hapu. She purported to be nothing. As a direct descendant of Tareha she is. It is also revealing that it is said that “the Board had no previous engagement with the Chairpersons and Marae”. Whilst in the case of Waiohiki this is factually incorrect it begs the question that this would seem to be a fundamental requirement for the negotiation team and executive in line with the principles established for the Mana Ahuriri negotiation structure. That this hapu should remain without a voice would be absurd in the historical context and could possibly give rise to a fresh breach of the Treaty. I told him of our anxiety over property negotiations apparently being undertaken at the time and asked for an explanation of the leasing out of the prison. No response. I contacted OTS and tried to engage with Mana Ahuriri. Eventually a hui-a-hapu was held at Waiohiki and attended by Piri Prentice and Barry Wilson from the MAI executive. The possibility of an application to reconvene the Remedies Hearing was discussed at that meeting. Accordingly we decided to use the opportunity left open to us to apply to the Tribunal for reconvening the WAI 55 Remedies Hearing. Following a hui-a-hapu held at Waiohiki Marae on 15 October 2011 it was it was unanimously agreed to instruct Charl Hirschfeld and Tavake Afeaki to apply to the Waitangi Tribunal for a resumption of the Wai 55 Remedies Hearing in the name of Taape Tareha O’Reilly on behalf of Ngati Paarau hapu. The position of Ngati Paarau has become untenable in terms of representation on a representative body that appropriately and adequately represents the interests of all the seven hapu. It is well acknowledged by the Crown—through counsel (Crown Law) and the Office of Treaty Settlements—Ngati Paarau has an entitlement to interests within the Ngati Paarau rohe and the claim boundary of Wai 55 based on tikanga in both instances, as well as the law in terms of the resumption provisions of the Treaty of Waitangi Act 1975—as a result in part of the Te Whanganui a Orotu Report 1995 of the Waitangi Tribunal and inclusive of the subsequent remedies report which followed. The currently adjourned Tribunal has yet to conclude the taking of evidence and issue a decision regarding, amongst others, Ngati Paarau’s remedy by way of resumption within the Wai 55 inquiry area. 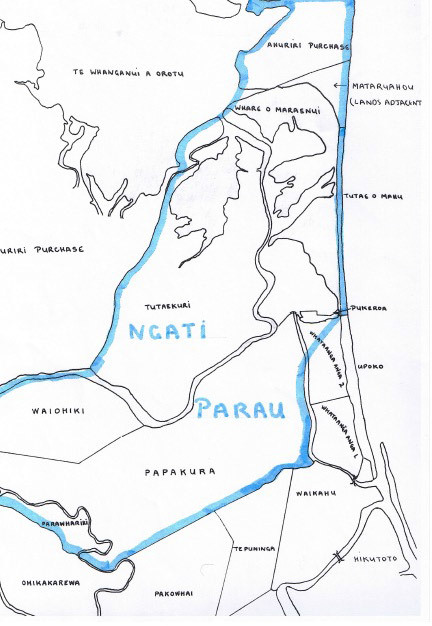 Despite this Ngati Paarau have already experienced a less than satisfactory outcome in terms of the privatization of the former Harbour Board endowment lands the financial potential of which fell within the Ngati Paarau traditional boundaries. 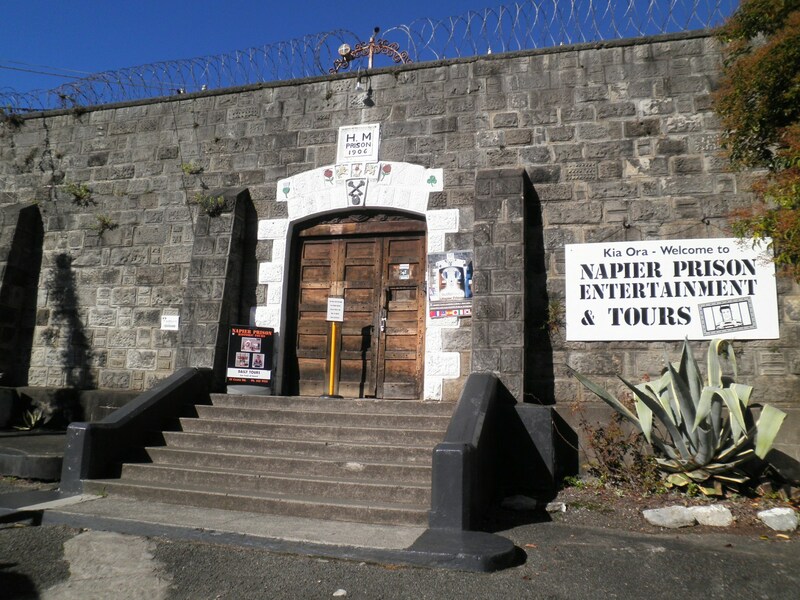 Recently there was also the allocation of the rights to the lease of the old Napier prison which was released from its previous Office of Treaty Settlements (‘OTS’) land-banked status. That former prison inexplicably is situated where Ngati Paarau has held historical and very long standing occupational interests, in particular as a fishing settlement. Ngati Paarau have been sidelined in the process which ironically seeks to advance its Treaty settlement interests but in reality does not. The example of the prison is but one instance of how this has become apparently manifest. Despite corresponding and some hui held neither have Ngati Paarau been fully informed to the real extent to which Ngati Paarau now and in future can participate in the process of moving towards finalizing the Treaty settlement so that all their actual as well as putative interests are accounted and spoken for, nor does our hapu have confidence that whatever our interests might be in the Wai 55 case (even if considered indivisible with the other six hapu) that the process in place will lead to anything remotely like a satisfactory outcome for Ngati Paarau. Currently Ngati Paarau feel unrepresented. We (members of Ngati Paarau) hear indirectly of business discussions to do with properties that sit within the hapu’s traditional boundaries yet we are not privy to the facts. We are driven then to make this application to the Tribunal in order seek optimal outcomes to any settlement arrangements and this will only be achieved if our forward strategies are aligned with the realities and possibilities of settlement. 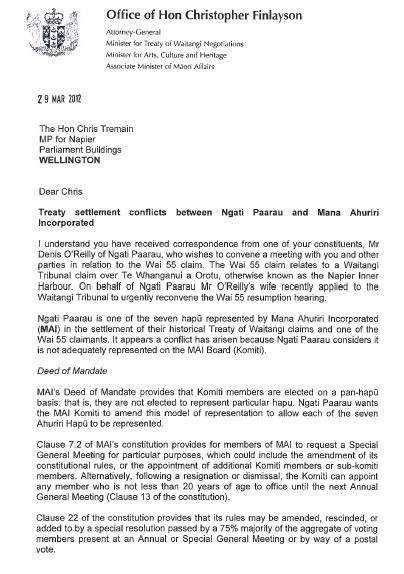 Although Ngati Paarau have sought to meet with the Mana Ahuriri Incorporated (the reputed Wai 55 and others representation group) to date this request has only been acceded to once and with no real advance on representation. We now feel that there is a real danger that if we do not go back to the Tribunal to identify our entitlement to resumption in terms of the Wai 55 claim, Ngati Paarau will be permanently prejudiced through a lack of representation and later therefore a Crown settlement which ultimately denies them their Treaty rights. In practical terms, Ngati Paarau feel that they will lose property that they would otherwise but through fair representation they would be entitled to in a Crown settlement. The Crown responded to the Tribunal directly, and MAI through their lawyers Kensington Swan. Ignoring the fact that the application to reconvene the Remedies Hearing was decided at a full hui-a-hapu and was supported by both Taape and David Pene who were the original two Ngati Paarau WAI 55 claimants they used what was to become a regular tactic by first challenging the mandate of the individual or group to raise an issue. “A recent mandate maintenance report and update reveal issues raised by certain members of Ngati Paarau but it said it remained unclear how many within the wider Ngati Paarau claimant community share these issues”. We approached our local MP Chris Tremain who wrote to Chris Finlayson and he replied in March 2012. Please do not interpret the Ngati Paarau concerns as an expression of a desire to stay in a mode of grievance. On the contrary this hapu has been and continues to be committed to a vital and successful partnership with the Crown and all New Zealanders as outlined in the Parliamentary speeches of the traditional chief, Tareha Te Moananui. The commitment to partnership is evidenced by the generosity that Ngati Paarau have shown towards the citizens of the region since the 1850’s. Truthfully and sincerely expressing apprehensions about the present structure of MAI, and the behaviours of office holders, is another contribution to ensure the sustainability of this enduring partnership. 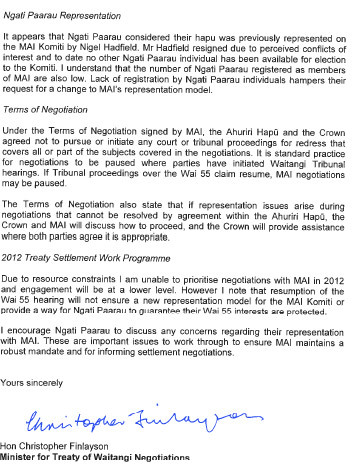 The Ngati Paarau team will pay close attention to the Crown’s response to Judge Issac’s directions as regards WAI55. The team is currently reflecting on the points that you so succinctly outlined to Hon Chris Tremain and are undertaking consultation with the broad hapu membership as to the options implicit in your advice. The Waiohiki Marae Trustees, on behalf of Ngati Paarau hapu, wish to invite the executive and members of Mana Ahuriri Incorporated to meet with us, and other members of the wider claimant community, to discuss ways to resolve the difficulties we perceive exist over Ngati Paarau representation, and our participation in the settlement process. As you know Ngati Paarau have applied to the Tribunal to have our application to reconvene the WAI 55 Remedies Hearing adjourned sine die – without prejudice. We accept the advice advanced by Hon Chris Finlayson that there are opportunities to resolve our concerns by ways other than litigation. From time to time we have to look at fresh ways to approach a problematic situation. We have to innovate. Our suggestion is to gather at a suitable place on our traditional lands at Ahuriri, in the way of our ancestors, and to korero. We think it would be helpful to have an independent person to chair our discussion and have invited Hon Chris Tremain to act in that capacity. Whilst Ngati Paarau wish to expedite matters we appreciate that members of the MAI executive have busy schedules. Obviously your presence is critical for a useful outcome. Accordingly, presuming your willingness to participate, I invite you to indicate suitable dates for such a gathering. I envisage that we will need four to six hours and suggest that a Sunday might be most accessible for a majority of likely participants. Again, the opportunity was ignored. It is fair to say though that at the time MAI were discombobulated with what has been described as “musical chairmanship” due to the frequent coups and changes in the executive. So, the “meaningful consideration of views” principle has been meaningless. Indeed it has continued through the consultation process around the Deed of Settlement and the nature of the Post Settlement Governance entity. When the PSGE and Deed of Settlement consultation process first commenced with the November 2014 meeting at Waiohiki the facilitator Mr Johnson positioned the PSGE part of the exercise as giving beneficiaries an explanation of the various structural options for the post settlement governance entity. The two most viable options seemed to be a hapu-based model and a Westminster style first-past-the-post model. Wayne Johnson recommended a hapu based model. He later reneged on this recommendation telling us at the Ratification hui that this was a “mistake”. Regardless, the evident preferred model for those at the series of meetings was a hapu-based model. But even during the sequence of meetings during the consultation process it became evident that as far as the MAI Board was concerned the first past the post system was what we were going to get. Although the marae based collective did their best to develop a working model and engage with MAI the response was tepid at best. It had become clear by the end of the consultation round that the Board wanted the status quo, and in fact envisaged rolling themselves over into the new entity for a period to preserve the institutional memory. This raised alarm bells all round. There has been concern over what amounts to less than best practice behaviours such as members of the same family holding critical posts and a history of related party transactions where board members conduct business inter alia and benefit from contracts and payments. Instances of lack of transparency and conflicts of interest abound. The most glaring example has been that of the WAI 692 Napier Hospital settlement wherein an entity Ahuriri District Health (ADH) was formed to receive former Napier hospital property and $1.52m for health services as part of the WAI 692 Treaty settlement. May benefit particular members or particular groups of members of Ahuriri hapu if the governance entity so determines in accordance with the Governance entity’s procedure. If a conglomeration of individualised registered Maori beneficiaries suits the purposes of the MAI Board what motivates the Crown to push the same model? It is my sense that the Crown has always sought to individualise Maori, and to break down the metaphysical links of whakapapa that tie people together and help them rise above the noa, the temporal consideration of money and possessions. These become a barrier to the Crown in separating Maori from their land in the 1850’s and it looks like they take the same view today. a legal entity to receive remedies be established by an Act of Parliament and that the statute constitute the seven claimant hapu as a hapu authority. We see today however that despite the WAI 55 Tribunal’s recommendation the Westminster first-past-the post construct of the Ahuriri hapu PSGE is concerned the Crown view has prevailed. 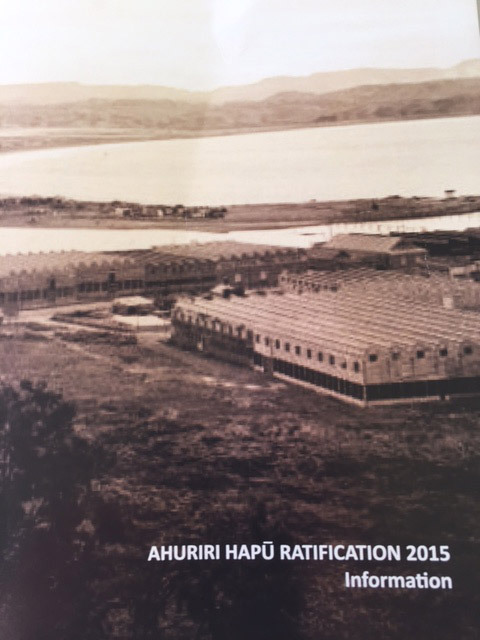 The intimation is that the proposed Ahuriri Trust is a servant of the hapu but there is no mechanism to ensure this. The proposers have by clever use of the English language and against the spirit of the MAI constitution inserted through use of the comma, a conditional clause “registered members of Mana Ahuriri Inc”, that separates the individual Maori from the generally accepted whanau hapu iwi model. It is ironic to note that this grammatical device would not be possible in Te Reo. “Deed is made between Ahuriri Hapu, and the Trustees of the Mana Ahuriri Trust and the Crown”. Depending on one’s start point what this proposes is either a tautology or a notion based on circular reasoning. The actual ToW relationship is between the hapu and the Crown. The constitution of Mana Ahuriri provides for hapu rangatiratanga and this is consistent with the principles of tikanga and kawa expressed in the Deed. “The chiefly authority of the Maori was direct, but the descent of that authority was just narrowed to the one hapu and it may even be to one whanau. The Crown has been intractable in its opposition to the hapu model regardless of the huge shifts in Maori policy such as Whanau Ora that lend themselves to a hapu based framework. 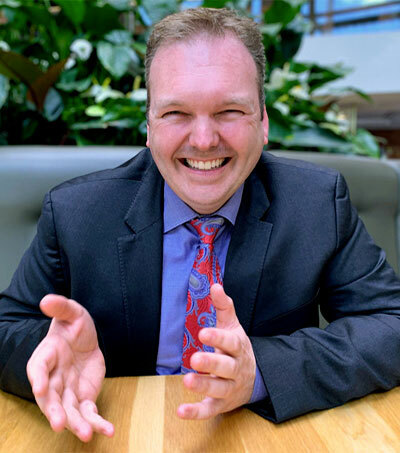 A facilitated process to, in Chris Finlayson’s words, empower hapu could have equipped with each hapu with a Hapu Authority that horizontally aligned one with another and able to be vertically aligned with the matua PSGE structure. This is a developmental model that has the potential to truly empower. One of the reasons advanced for the first past the post conglomerate preferred by the Crown and the MAI Board is that it is likely to produce a quality line up of candidates. That hasn’t happened so far. With the exception of matua Heitia the MAI board is more like a third fifteen. Its definitely not the A team drawn from the available pool of local talent. So, in my view Ngati Paarau of Waiohiki bear the brunt of this proposed Ahuriri settlement. Their traditional takiwa is now Napier City and thus they proportionately lost most in terms of access to their kaimoana and their tangible property values by way of Crown acts and omissions. Paarau though have long agreed that the benefits of WAI 55 should be collective and shared by all seven mana whenua hapu. However their own Claim (WAI 168) which involves only Ngati Paarau and simply seeks: the return of some or all of the 183 acres the riparian strip along the Tutaekuri River taken for river works in 1937; the rerouting of high voltage power lines that were forcibly installed under the Public Works Act and run across housing in the kainga causing health concerns amongst those whanau living below them; and a co-governance for Otatara Pa to consolidate a working arrangement that has enabled Ngati Paarau to act as kaitiaki for the past quarter of a century. All of these issues have been subsumed into the settlement mix without any tangible remedies. Indeed the proposed apology for the taking of the Waiohiki lands is directed to “Ahuriri hapu”. Ngati Paarau’s very existence is obliterated. To add insult to injury, as I have noted their rangatira is positioned in the historic account as being self-serving and complicit in breaching the Treaty. We do a disservice to him and his memory, to his descendants, and to our nation if we stay silent. Its not simple. 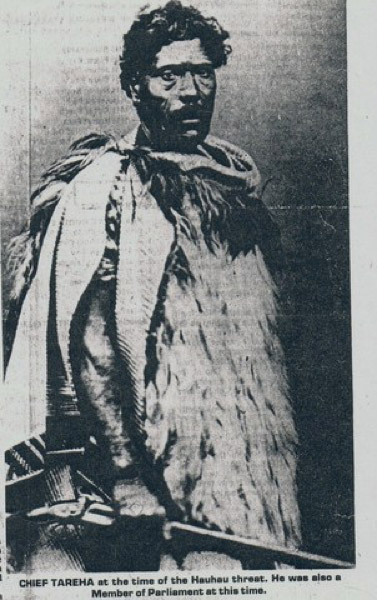 Whilst Tareha’s principal hapu was Ngati Paarau he was also Ngai Te Ruruku and Ngati Matepu. A facilitated korero between the Claimant hapu to construct a pan-claim agreed historic account and apology would have helped achieve a satisfactory outcome. What’s really frustrating is that this issue was well signalled and indeed the deputy chair of MAI who is also a MAI negotiator made a commitment at Waiohiki marae in November 2014 to consult on this matter. Unfortunately neither he nor the Crown historians have done so. This is one of the reasons why I say they have been derelict. Ngati Paarau lands have been taken from them for neither fault nor offence on their part and without adequate compensation. Their access to and use of their waterways and sea have been compromised by regulation, by changed land use, and by the effects of pollution. All of these factors have had economic consequences and have resulted in relative poverty of hapu members, degraded lifestyles and ill health marked by conditions such as obesity and its companions, heart disease and diabetes. The Queen has long been regarded by Ngati Paarau and their allied hapu as an ariki or rangatira of great mana.The word of one’s rangatira given to another rangatira is binding and intergenerational. The hapu’s own rangatira Tareha Te Moananui MHR stood loyal to the Queen directly in the field of battle and to my knowledge is the only member of the NZ House of Representatives to have borne arms whilst serving as a member of the House. His son Kurupo attended Queen Victoria’s Diamond Jubilee and King Edward’s Coronation. Their tupuna served alongside the seminal New Zealand armed forces and their descendants have been members of the New Zealand armed forces and have fought under the auspices of the Crown to uphold its mana and given service to Aotearoa/New Zealand in every generation and though every instance of New Zealand military action including the Boer War, First World War, Second World War, Korea, Malaya, Vietnam, and Afghanistan. So, here we go, at Ahuriri we are presented with a conundrum and, taking history into account it should be of no surprise that Waiohiki is acting as a vector for dissent and hopefully a fulcrum for resolution. Tareha is referenced consistently in the Ahuriri historic account and indeed in the historic accounts of other related claims. He gets a pretty bad rap. To some degree he is demonised. I do not consider that his actions are sufficiently contextualised within his multi-faceted indigenous approach. I also think that as the Tribunal process has rolled on and dealt with some of the more contentious raupatu based claims the mood has shifted and the perspective inverted. “On the marae are a flag-pole and memorials to those who gave their lives in the two world wars. To one side of the marae is a wahi tapu, where stands the Church of St John’s, established by Renata Kawepo, and graves of the family and ancestors of the tangata whenua. There is also a memorial engraved with the words ‘Renata Kawepo and his faithful followers who fought for Queen and Country during the Hauhau Rebellion 1860–1872’. As we surveyed this scene, we were very conscious of all the symbols that tie the tangata whenua to their past and speak of their hopes for the future”. By the time we get to the WAI 299 hearing however the Tribunal’s membership had changed and, perhaps influenced by the location of the hearings and the stories that emerge from the land itself. The “symbols that tie the tangata whenua to their past and speak of their hopes for the future” on the monument at Omahu become positioned by the Tribunal as being complicit with Crown offences and thus implicitly shameful. The example most pertinent to this essay is the battle of Ōmarunui, the so called “one day war” fought in October 1866 on the very boundaries of Ngati Paarau’s lands. There is a related incident at Horopito but as that does not involve Paarau I’ll ignore it. 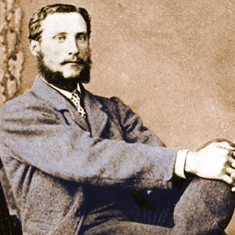 To give context there had been drama with the Hauhau at Opotiki that led to the murder of the missionary Carl Sylvius Volkner. The Hauhau have been variously described as a “religious fighting organisation” and a millennial sect. It is not possible to understand the course of Hau Hau history without accepting that they were ecstatics, bound to a spiritual reality which can’t be analysed in ordinary real-time terms. They preached the deliverance of the righteous from the terrible, imminent wrath of God, and looked forward to a blissful future in a theocratic state called New Canaan. Hauhauism developed under the leadership of Te Ua Haumene, and was consolidated by his recruitment and baptism of the second Maori King, Tawhiao. Interestingly enough in this dynamic liminal period Ngati Paarau had also entertained the concept of the Kingitanga. One of the attractions of the Kīngitanga was the opportunity to secure all land holdings under a solitary rūnanga for the benefit of future generations. Tareha and Paora Kaiwhata attended hui in support of the kingitanga including one convened by Te Heuheu. Turoa was the representative of Whanganui, and Tareha and Paora Kaiwhata of Ngatikahungunu. Pou whenua, known as ‘Te Pou o te Kīngi’, were erected in the territories of iwi who aligned themselves to the Kīngitanga to indicate that their land was under the protection of the King and to recognise both the new and historical connections between tribes and with the Kīngitanga. 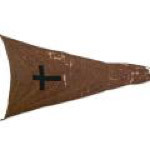 One such was at Waiohiki – in fact it was a pataka – commissioned by Tareha in 1855 to mark the visit by Tamihana. Indeed in this day there is a carved pou representing Tamihana at the entrance of the marae raised to mark the 40th anniversary of the coronation of Te Atai Rangikaahu. At one such Kingitanga hui, attended by about 100 from Pai Marire from the Waikato, the leading Kahungunu coastal chiefs, among them Karaitiana Takamoana, Tareha, and Renata Kawepo, decided to remain aloof from the movement. In any case when in September 1866 an armed party of between 80 and 100 Hauhau arrived at Petane the local political balance was upset. Cowan records that this taua (fighting group) included “wild spirits from other tribes as far away as the King Country. At Te Pohue the force appears to have been joined by recruits from other parts, including some from the Wairoa district, for before a move was made on Napier the total strength was about one hundred and thirty. Panapa’s party remained at Petane for almost a month without taking any aggressive action, though they were becoming increasingly short of food – so much so that they dismantled the church there and sold the timber to buy supplies. Tareha wanted them to be provided with food, but Rhodes refused this request unless Panapa’s party was willing to surrender and give up its arms. In any event, the shortage of food may have been a reason why, on 4th October, the main body of the Pai Marire party moved to Paora Kaiwhata’s kainga at Ōmarunui on the Tutaekuri River, some 16 kilometres south of Napier. Panapa and several other leaders of the party had already been there since mid-to-late September at the apparent invitation of Paora Kaiwhata himself. However when the taua arrived Kaiwhata and his people then evacuated Ōmarunui and moved to Tareha’s nearby Pa Whakairo. There was ‘diplomatic efforts by leaders on both sides to defuse the tension’ Waha Pango remembered later that two local chiefs, Tareha and Karauria, had also joined the negotiations and had persuaded a few of the Pai Marire to ‘return … to loyalty’. By 8th October McLean was concerned enough to commence military preparations and on 11 October McLean drafted an ultimatum to return to their homes or surrender their arms. The ultimatum was carried by Whitmore’s Napier Volunteers, accompanied by Whaanga’s Wairoa contingent. They left Napier at midnight and marched out to Ōmarunui, where, along with a local Maori force led by Tareha and Renata Kawepo, they surrounded the kainga at 5 am on 12 October. The 400-strong combined force was composed of equal numbers of Maori and Pakeha. The Maori contingents remained under the command of their chiefs. 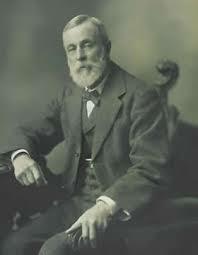 Whitmore gave the order to attack and his troops had opened fire. Volley after volley was fired into the village in an action that lasted an hour and a half. The exact number of casualties is unknown. Whitmore records 23 dead and 76 prisoners. Cowan gives somewhat different figures of 21 killed, about 30 wounded (some of whom died in hospital), and 58 unwounded taken prisoner. Of the attacking parties, three men were killed and another eight were wounded. One holds that the Hauhau under Panapa were of ill intent and bullied Paora Kaiwhata out of their pa at Ōmarunui. The allegation is that this was a move in conspiracy with Te Rangihiroa to conduct a pincer attack on Napier, Te Rangihiroa from the northeast through Petane and Panapa coming up the Tutaekuri from the west. Paora Kaiwhata sought refuge with Tareha Te Moananui at Pa Whakairo. Tareha and his allies wanted to attack them but were initially restrained by McLean. Eventually after a period of negotiation an ultimatum was set. It was extended once. The Hauhau response was ambivalent to the degree that they seemed to be prepared to live or die for their beliefs. The other proposes that McLean deviously invited the Hauhau leadership to come and meet with him at Ahuriri whilst he gathered his forces to force the Hauhau into a humiliating surrender. He then enabled or allowed the local militia under Whitmore and the local friendly chiefs under Tareha to make a pre-emptive strike an otherwise peaceable community. 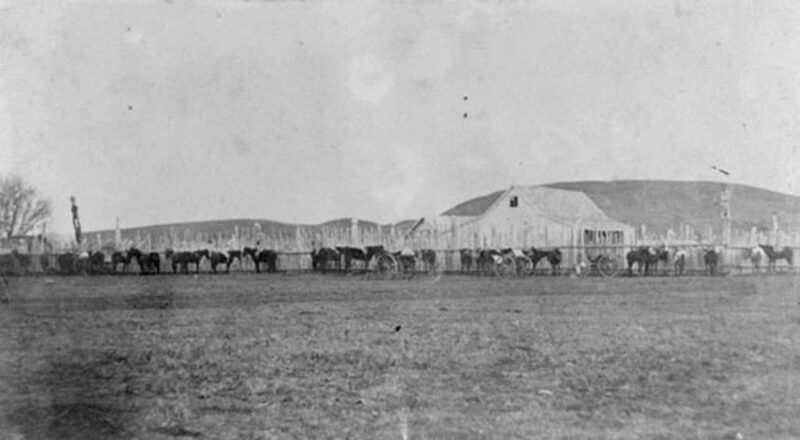 The Tribunal examined the extent to which the bloodshed was due to initiatives taken by McLean Whitmore (who had pastoral interests on the frontier), or by prominent kawanatanga chiefs such as Tareha who they noted may have even played a dominant role. “remained – armed – and consumed the food of the absent owners, while making no attempt to communicate their intentions in any meaningful way. There could be few precedents for peaceful visitors acting in this manner. Every day that the Hau Hau remained in these circumstances was a glaring provocation to the people at Pawhakairo and a portent of war”. On the day, the kawanatanga forces went in under their own chiefs, thus demonstrating that their alliance did not compromise their independence. There was discussion of the intelligence available to the kawanatanga chiefs who were ‘better placed to interpret the situation’. Was it reasonable for the Ngati Kahungunu to believe that they were at least as exposed to threat as the European population? It was argued by the Ngati Hineuru claimants that the Crown had a duty under the Treaty to protect Maori at Ōmarunui and to Ngati Hineuru. What about Ngati Paarau? Did they have the right to defend themselves even by pre-emptive action? Historian Joan Metge holds that rangatiratanga was expressed according to tribal tikanga and custom. This includes the allocation of land to hapu, whanau, and individuals as well as the removal of unwelcome occupiers. The Tribunal concluded that McLean had deliberately stalled negotiations for a peaceful outcome. Panapa and his party did not seize them by force; they apparently occupied them peacefully with the acquiescence of Kaiwhata. and rejected the assertion that this created a situation of extreme tension. Accordingly the implication is that the Hauhau were justified in firing in self-defence when the attack on them eventually came because they were defending “house and home”. An argument – the principle of equal treatment – was put that the Treaty represented a ‘promise of order’, in preserving that order the Crown needed to act for all its British subjects in New Zealand, irrespective of whether the disputes involved Maori and Pakeha or Maori and Maori. The Crown had a duty to act fairly and impartially towards Maori and could not join with one faction to attack another faction that had not breached the peace. Is that a realistic expectation though? As I have identified the nation was just forming. The settler government neither colonial nor provincial could combat a comprehensive Hauhau attack on Napier. The Crown’s forces, the Irish Fusiliers, were kept in camp on Mataruahou, Napier. This was the testing ground for the Treaty and Aotearoa New Zealand. What if that attacking “Maori faction” were in a millennial movement, armed and dangerous. Think of what is going on in our world today and then picture yourself at Pa Whakairo Waiohiki in early October 1866. What do you think is fair and probable? 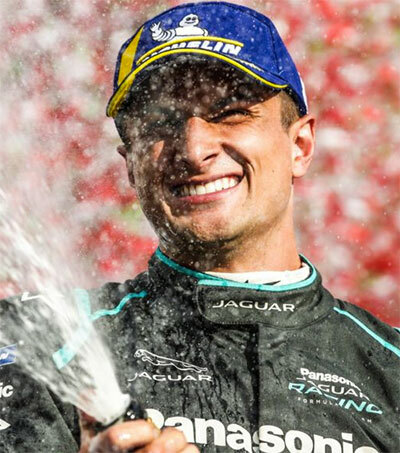 Well done Denis. Very interesting read.